To all our customers and our staff, we wish you a very happy Thanksgiving. We will be closed on Thanksgiving Day. Don't forget to check the backroom where we will have fabric marked down to $6.00 per yard (one yard minimum cut). Take the entire bolt and get $5.00. Think about all those backings!! Can't stop by Friday, no worries! 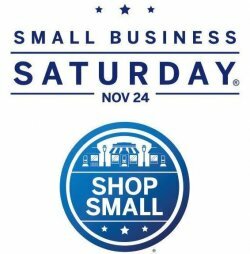 There's even more going on on Small Business Saturday. Come join us. 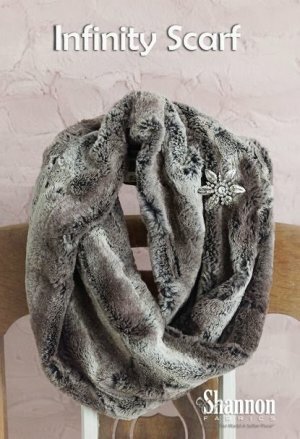 For just $9.95, you can get your own make and take cuddle infinity scarf. We are including instruction, machine and a FREE pattern! In 20 minutes you can walk out the door with a gift for yourself or someone special. See the picture below. Kits are limited . . . come early to get first pick!